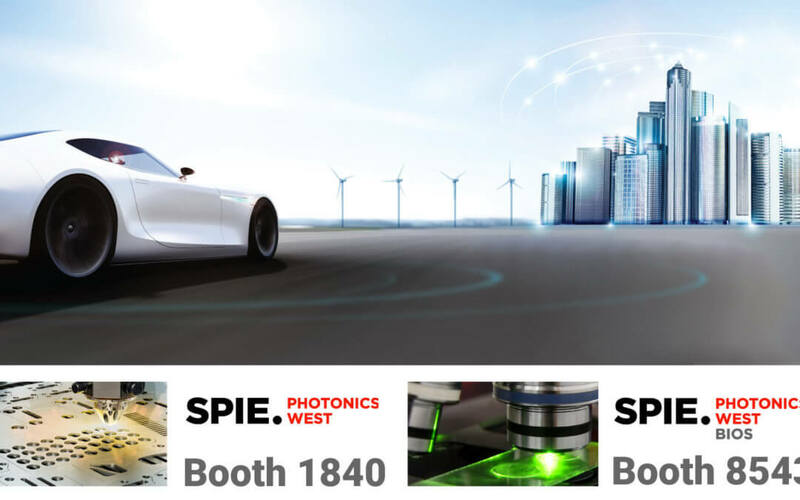 II-VI Incorporated (NASDAQ:IIVI), a global leader in engineered materials and optoelectronic components, today announced that it will present at SPIE LASE and OPTO 2019 conferences and exhibit new products and capabilities at SPIE Photonics West, Feb. 2-7, 2019, in San Francisco, CA, Booth #1840 and at BiOS Expo in Booth #8543. Zero Pixel Shift Filters for Fluorescence Microscopy: II-VI’s state-of-the-art thin film technology delivers one of the industry’s filters with highest transmission, steep slopes and deep out of band blocking, enabling next-generation fluorescence microscopes to achieve very high sensitivity. 405 nm Lasers for Biomedical Instruments: II-VI’s QOMO laser is now available at 405 nm, in addition to the existing laser wavelengths of 488, 638 and 660 nm. The extremely stable, low noise, optical output power of II-VI’s QOMO laser enhances the measurement sensitivity of next generation flow cytometers, enabling greater accuracy and faster measurements. Flat Top Beam Shaper Optics: II-VI’s flat top beam shaper optics significantly improve laser-based micro materials processing by converting circular laser beams with Gaussian intensity profiles to circular or rectangular beams with highly uniform or “flat-top” intensity profiles only a few millimeters in size. Such laser beams enable process areas to be delineated precisely and processed evenly. Red Lasers: II-VI’s red lasers enable high power fiber laser systems to achieve precise alignment of multi-kilowatt infrared laser beams to the target process areas. They maintain a tightly controlled high output power of 350 mW to within 2% while under the presence of up to 5 W of reflected optical power. 22 W Pump Laser Diodes: II-VI’s new laser diodes achieve 22 W of output power or 22% more than the existing product, enabling fiber laser designs with fewer emitters and therefore lower cost. 80 Watt Pump Laser Modules: II-VI’s new 80W pump laser modules with wavelength-stabilized output power enable ultrafast fiber lasers to operate with very short pulses for high precision drilling and marking. EALA – European Automotive Laser Applications 2019, Bad Nauheim, Germany, Feb. 12-13, 2019, Booth #3, on laser-based processes for future car body productions. OFC 2019, San Diego, CA, Mar. 5-7, 2019, Booth #4312, on optical communications.